“I really enjoy playing the piano because Holly is a very fun teacher. I like the games she plays with me”. 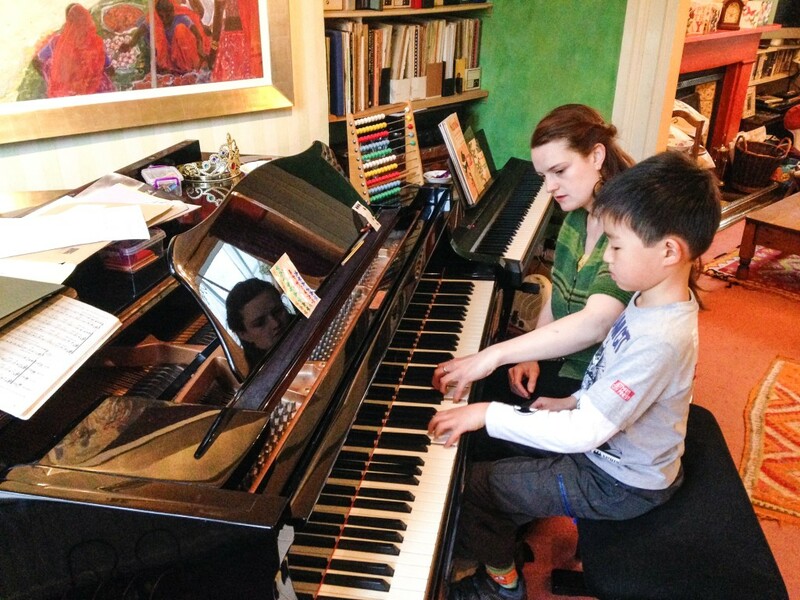 “We are very pleased to have Holly as my 6-year-old son’s piano teacher. Her techniques to engage his attention make him want to play and practise at home. Her positive encouragement makes playing the piano easy and fun”. Like all Suzuki teachers, I work with two instruments, one for me and one for the student. The student gets the better one! This allows for constant demonstration without anyone having to move. It also makes it possible for four children to play at once during group lessons (two on each piano). On top of this I have adjustable stools and footstools for children and parents of all heights. Alongside the instruments I have all kinds of props and toys and stickers to make lessons fun and creative. Most importantly the studio is a space for observation. There are sofas and chairs for families to watch whilst others have their lessons. Next: What makes Suzuki different?